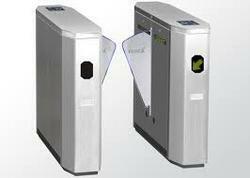 - These Gates works on a simple but effective mechanism by sliding on the either side of the opening. 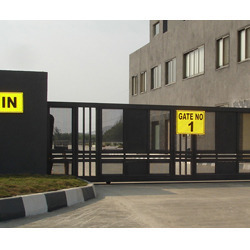 - Tested graded steel are used for the manufacturing of these gates & thus the gate is strong to protect your premises from an unauthorized access. Advanced: RB400, RB600 and RB1000 are equippedwith a temperature sensor: adapt the motor power tothe climatic conditions and at the same time thermal cutout.A master/slave selection automatically synchronisestwo motors. - Size: Depends on clients requirement.